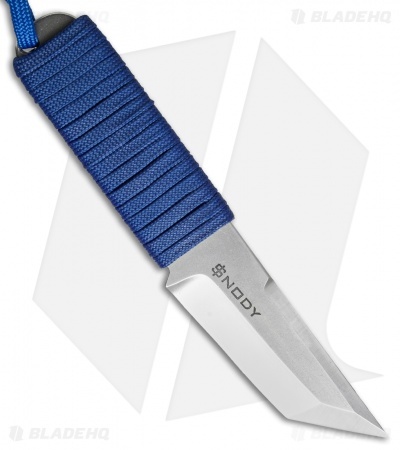 The Urban Tanto from Mike Snody Customs is the ultimate pocket carry EDC fixed blade. It features a tanto blade made from 154CM stainless steel with the Snody signature chisel grind. The blade comes in an Industrial finish which is slightly darker than satin but retains many of the reflective properties. Impressive grinds add to the appeal of the tanto profile and give off a collectible appearance. The unique handle has a permanent paracord wrapping and a matching lanyard for convenient pocket carry. 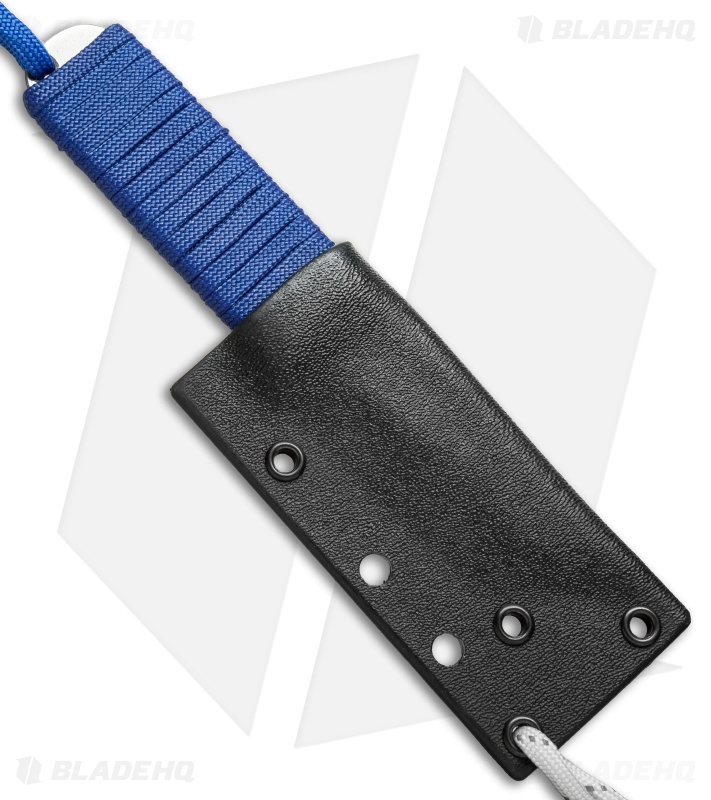 Item includes a Tek-lok compatible kydex sheath with a lanyard for EDC use. 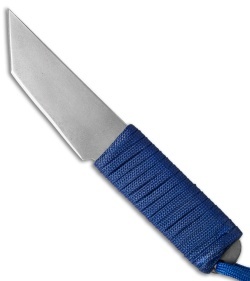 This version of the Urban Tanto fixed blade has a royal blue paracord wrapped handle and lanyard cord.